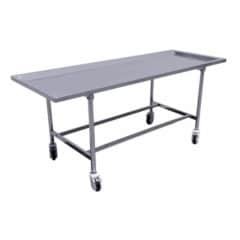 Stainless steel sink for manual washing fruit. 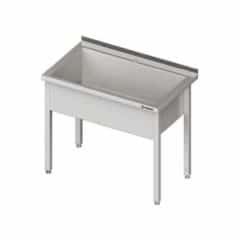 The sink is made from stainless steel with a thickness 1,2mm. Depth of the sink is 300 mm. 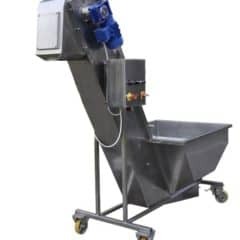 Pressure water rinser-cleaner for rinsing fruit and other use. 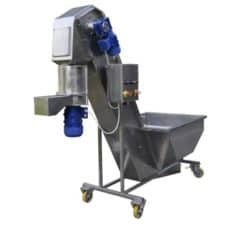 The optional accessories for the FWD-1000 and FWDC-1000 fruit cleaner and crusher and for general use in fruit production hall. The “K7” with water-cooled motor has been designed for frequent use and removing stubborn dirt, e.g. on paths, in swimming pools, on bicycles or large vehicles. 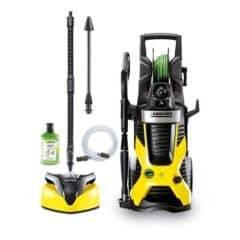 Features include a gun with practical Quick Connect connector, 10 m high-pressure rubber hose, efficient water filter for pump protection, Vario Power spray lance (VPS) and dirt blaster with rotating pencil jet. Quick and easy pressure adjustment on the VPS with dirt blaster to remove stubborn dirt. The P&C universal cleaner rounds off the extensive package. 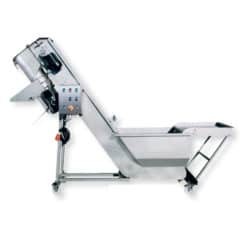 A combi machine the fruit washer and dryer FWD-1000 with production performance 1000 kg of fruits per hour. Fruit is washed in the tub with water without circulation of water. Then fruit drips in the drying tunel with a transportation belt. The drying tunnel is not equipped with air ventilator. 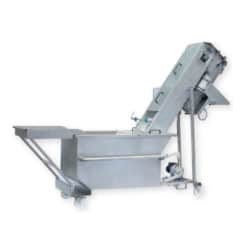 During the cider production, FWD-1000 is used for washing and drying of apples, pears or other fruit into small pieces, from which subsequently the press squeezes the fruit juice. This is the starting intermediate for the cider production. Made in Czech Republic. 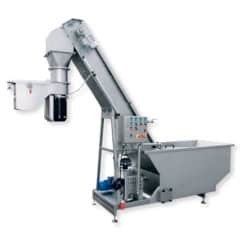 A combi machine the fruit washer and dryer FWD-1000P with production performance 1000 kg of fruits per hour. 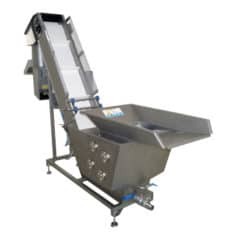 Fruit is washed in the tub with water that circulates through the tub using the circulation pump. Then fruit drips in the drying tunel with a transportation belt. The drying tunnel is not equipped with air ventilator. 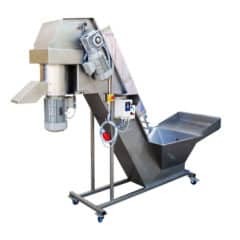 During the cider production, FWD-1000P is used for washing and drying of apples, pears or other fruit into small pieces, from which subsequently the press squeezes the fruit juice. This is the starting intermediate for the cider production. Made in Czech Republic.